To begin, we have to tackle the question, who created everything. But wait, we have the answer in the verse right there, it was God, right? Yes, that is right, it was GOD. I want you to remember this phrase because we are going to call on it again later in our study. It is a point that many miss when you do a study on God. Question: How many things were made by him? The reason for this question is because of some fringe systems that claim to be Christian, but which are not, uses the next scripture in a twisted way to get rid of the fact that Jesus created ALL Things. In verse col 1:16 above some translate the word ‘by’ (Greek: en) as through. Which slightly changes the tone of scripture. This would mean that Jesus is not the originator of creation, but an instrument in creation. This makes his role much different than the KJV translation ‘by’ Both words are right in direct translation of course, however, in light of other parts of scripture the idea of through fall completely flat and cannot have any place in the creation narrative. Look, here is the thing that settles an argument. When the Highest authority calls a thing, that is the way the thing is! If God The Father says in a passage where he brags on His Son, that Jesus Created everything, that it was all the works of Jesus’ hands, then I don’t really care what men have to say about it. I have it From the Father, the highest authority, Jesus created EVERYTHING – The universe, the angels all of it. Astounding isn’t it, that such a creator, would humble himself to the point of death on a cross for you and for me. Now let us read Gen 1:1 again because this will set the tone of our study of God. 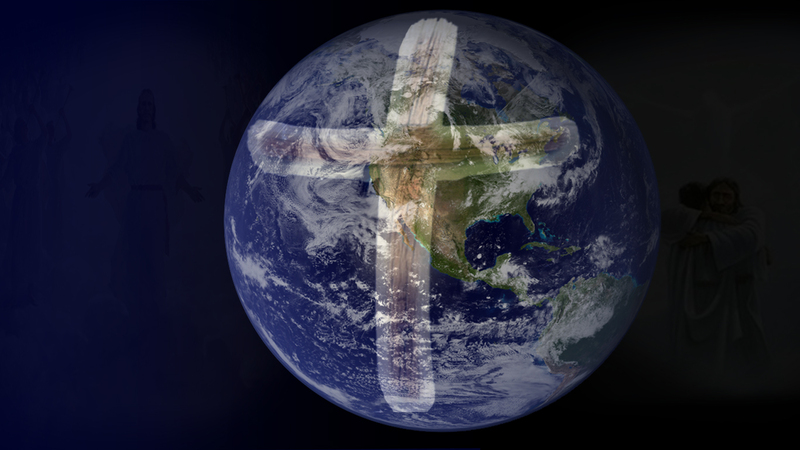 Gen 1:1 In the beginning *(JESUS) created the heaven and the earth.